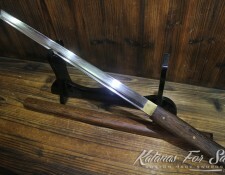 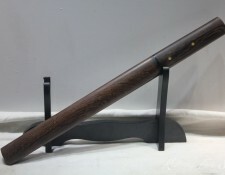 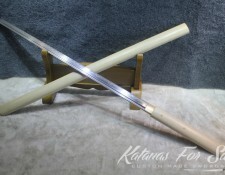 Browse our huge selection of Japanese Shirasaya for sale, The Shirasaya sword is a simple yet elegant blade with a wood handle and saya and without fittings, when sheathed it look like a plain wood stick. 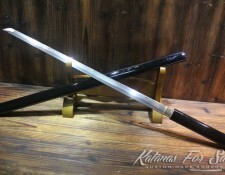 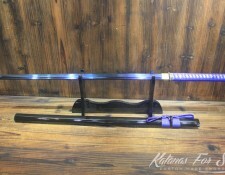 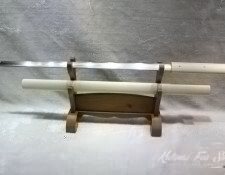 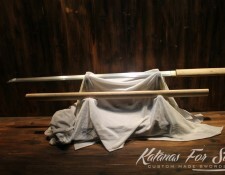 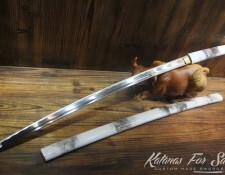 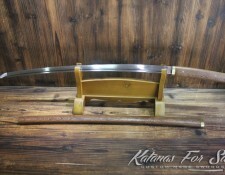 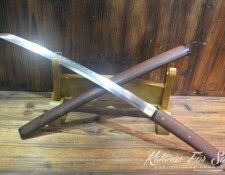 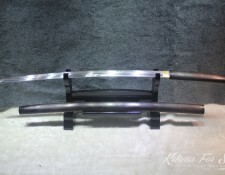 The Shirasaya comes in different variations and shapes, you can choose Shirasaya Katana, Shirasya in Wakizashi size, or even Shirasaya with a straight blade and/or Kiriha Zukuri Kissaki style. 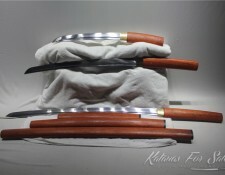 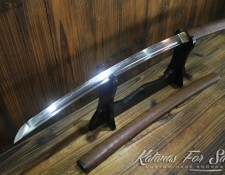 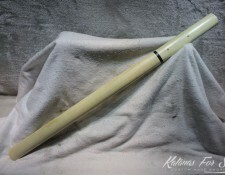 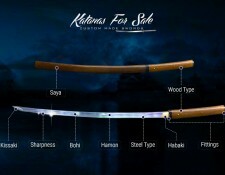 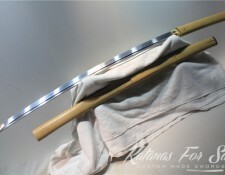 Due to it’s simplicity and elegancy the Shirasya is loved by many collectors and is a must, in every sword collection.